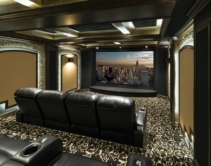 By Andrew Nichols · March 25, 2019 • Immersive audio formats like Dolby Atmos and DTS:X help compliment 4K video to create a more realistic home theater experience. Here are 13 products that integrators can use to create top-notch sound systems. 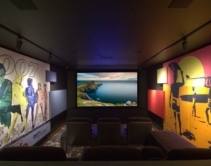 By Robert Archer · March 15, 2019 • Rayva helped Brilliant AV secure a job over two other installation firms to provide the homeowner with a home theater packed with Sonos, Sony, and Control4 tech, among others. By Robert Archer · January 9, 2018 • Working with the designer Marcel Wanders, KEF has introduced its special edition LS50W loudspeaker. By Robert Archer · December 13, 2017 • Now that we have at least three good immersive audio platforms -- Dolby Atmos, DTS:X and Auro-3D -- there's no excuse for a good home theater to skip object-oriented sound. Here are 16 components to choose from. By Robert Archer · October 16, 2017 • How is sound created, transmitted and heard? The Museum of Arts and Design in New York hosts an exhibit exploring the abstract nature of sound called 'Sonic Arcade: Shaping Space with Sound,' and KEF speakers are an integral part of the experience. By Robert Archer · September 25, 2017 • Addressing high-performance, built-in installations, KEF's Ci Series line includes its Ci200RR in-ceiling speaker and Ci4100QL, Ci3160RL and Ci5160RL in-wall loudspeakers. By Robert Archer · September 12, 2017 • New products from Sony, Origin Acoustics, Triad, Dish and Just Add Power highlight the gear shown at CEDIA 2017. 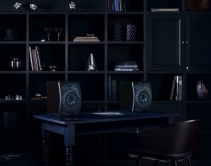 By Lisa Montgomery · June 15, 2017 • KEF, Meridian and Leon Speakers weigh in on the most pervasive speaker design trends of today. By Robert Archer · May 12, 2017 • KEF's Q Series 2017 product line features the Q150 and Q350 bookshelf speakers, the Q550, Q750 and Q950 floorstanding loudspeakers, and the Q650c center-channel speaker. Denon HEOS, Epson, URC and KEF Come to Essential Install Live! By Daniel J. Sait · April 28, 2017 • Denon HEOS, Epson, URC, KEF, LG, Sanus and more will be featured at the AWE Village at Essential Install Live! (EI Live! ), the smart building tradeshow coming up in May in Surrey, England. By Robert Archer · March 14, 2017 • KEF combines audio and industrial engineering prowess to produce a modern speaker that 'disappears' into a room. By Robert Archer · December 13, 2016 • Nick Tamburri of AHA Home Automation, Paul Diggin of Advanced Communication Technologies, and John Rein, principal of Audio Video Therapy, tell CE Pro why these are their favorite products of the year. By Robert Archer · October 14, 2016 • KEF's LS50 Wireless speakers deliver quality sound, made possible by its small enclosures through expert acoustic design. By Robert Archer · October 11, 2016 • Thinking about giving in and going the soundbar route? Check out this roundup from 25 well-respected audio manufacturers. By Arlen Schweiger · September 16, 2016 • British manufacturer KEF highlighted its $10,000 Ci5160REF-THX THX-certified architectural speaker, a couple of in-wall/in-ceiling subwoofers and a Black Frost finish for its impressive Blade Two.